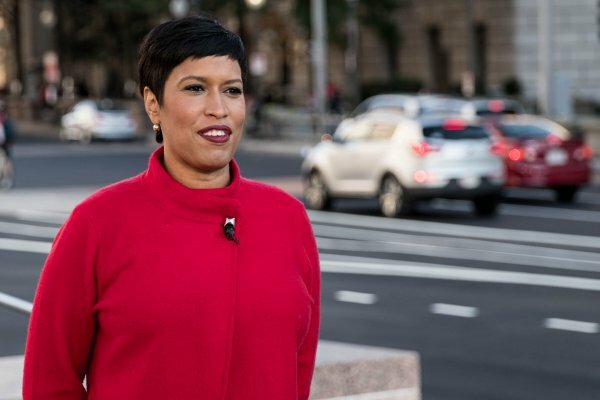 With an agenda that focusses on the inclusivity of residents as well as security and education, Mayor Muriel Bowser, the first woman to ever be re-elected in the capital, further advocates for Washington, DC’s statehood. Claiming that the lack of a right to vote for Congress of the residents of the capital is a great injustice, as well as an unacceptable and unpatriotic condition, Ms Bowser has promised to work in defense of the democratic rights of the citizens of the district and for the achievement of the capital’s statehood. As last November ’s midterms swept women into offices nationwide, Mayor Muriel Bowser also made electoral history of her own in the nation’s capital. Bowser, 46, became the first woman ever re-elected Mayor of Washington, D.C., not to mention its first top official to be re-elected in 16 years. “I’m honored and humbled to be mayor of my hometown,” she told ESSENCE. Bowser leads a city of some 700,000 residents, one that gained the famous nickname “Chocolate City” for its once predominantly Black population. Today’s D.C. is comprised of a diverse mix of people and cultures from around the country and world, set against a backdrop of the White House, Capitol Hill, monuments and museums. After being sworn in back in January 2015, Bowser spent her first term focused on such issues as employment, health care, homelessness, and investing in programs and policies aimed at helping families. As with other major urban communities around the country, reducing violent crime is also a key focus. Recently, Bowser joined D.C. Attorney General Karl Racine in announcing a $6 million dollar investment in the district’s workforce development and violence prevention efforts. Of the $6 million dollars, officials said $4 million will support the work of the D.C. Infrastructure Academy (DCIA). Bowser launched the academy in 2018 with a goal of providing more residents a pathway to careers. In partnership with area employers, DCIA coordinates, trains, screens, and recruits residents to fill infrastructure, energy and utilities, transportation, and IT jobs. In addition to offering various training programs in one central facility, there’s also access to other key support; i.e. resume development, workforce readiness, hiring events, and job referral services. The other $2 million will go toward supporting Attorney General Racine’s “Cure the Streets” program. It is based on the CURE Violence model which uses a public-health approach and treats violence as a disease; officials say in just the past five months, shootings and homicides have been reduced. Bowser was vocally opposed to the recent government shutdown and has occasionally criticized policies (i.e. immigration) of the Trump Administration, but she signaled a willingness to engage the White House and others on behalf of her constituency. Bowser, who earned a B.A. in History from Chatham University and a Master’s in Public Policy from American University, entered public service as an Advisory Neighborhood Commissioner. With deep roots in the city, she was raised to be of service and give back to the community. “Growing up, my parents instilled in me and in my siblings a responsibility to use our talents and passions to make our communities better places for everyone,” she said. Bowser, who is single, made national headlines last year when she announced on the Today Show she’d adopted a baby girl, named Miranda.